Every summer on New England’s lakes, rivers, harbors and oceans, recreational boaters and jet ski riders suffer serious injuries or are killed in recreational boating accidents. For more than 50 years, we have successfully upheld their rights. 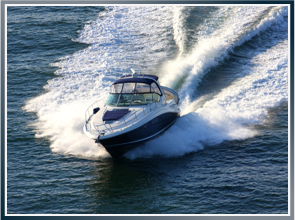 If you have suffered an injury on a yacht, sailboat, jet ski or while water skiing, tubing on the water or any other water sports, Latti & Anderson LLP can help. Determine the owner and operator of the vessel to give notice to them of the injury and to determine whether there is any boat injury insurance liability coverage. Obtain as much information as you can regarding the circumstances surrounding the accident to help prove negligence. Was the person driving the boat at fault? Was the person paying attention? Were they drinking? Was there bad weather? Was defective equipment involved? Did an important boat component fail? Determine exactly where accident occurred. The applicable laws vary depending on where the accident occurred. Did it take place on a lake, on navigable international waters or on state waters closer to shore? Maritime law and/or state law may apply, depending on where the accident occurred. The above steps are a beginning to protect your rights after an injury or death on a recreational boat. Matters such as these require the scrutiny of an experienced maritime attorney who can identify the best laws under which to file claims for compensation and can effectively apply those laws to your case. We can help clients who have sustained spinal cord injuries, traumatic brain injuries, fractured vertebrae, broken bones, torn ligaments and muscles to amputations from joy riding, tubing, sport fishing/recreational fishing and sightseeing. In these and in all cases, we use our knowledge of maritime law to build a strong case for compensation for medical bills, lost income, pain and suffering, physical disfigurement and other costs of a boating accident injury. If the victim dies from the injuries, the victim’s spouse, children or parents may even have a cause of action for wrongful death, but only an experienced maritime attorney can give true guidance about seeking maximum personal injury compensation under maritime and state wrongful death laws. The maritime trial lawyers at Latti & Anderson LLP have decades of experience helping people injured on the water and the knowledge of maritime law necessary to advise people about their rights and best legal options after a boating accident. If you have suffered an injury while sailing, operating a motor boat or any other recreational watercraft, contact a boat accident lawyer at our leading national maritime law firm for counsel about your next steps and free legal advice. Call our maritime trial attorneys at (800) 392-6072 to learn how we can help after a boat crash, no matter where in the United States it occurred.